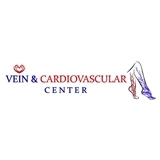 Vein & Cardiovascular Center (Davenport) - Book Appointment Online! Ashish Pal is a graduate of the University of Delhi, New Delhi, India. He completed residency in Internal Medicine and Cardiology at Maimonides Medical Center, affiliated with the State University of New York. He subsequently trained in Interventional Cardiology at the University of Alabama in Birmingham. He specializes in cardiac catheterization, coronary, stenting, angioplasty, atherectomy, intra- coronary Doppler and ultrasound. He trained extensively in non-invasive diagnostic modalities such as stress testing, transthoracic and transesophageal echocardiography. He has a special interest in diagnosis and treatment of peripheral vascular diseases. He also specializes in peripheral angiography, angioplasty and atherectomy. He is further trained in cerebral angiography and nonsurgical, i.e. percutaneous treatment of carotid and vertebral disease with angioplasty and stents. Dr. Pal is board certified in atherectomy, specialize in varicose veins, Venous reflux disease and Cardiovascular Diseases.